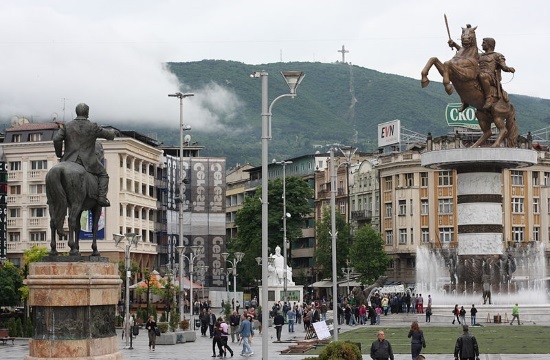 Deputy Foreign Minister, Markos Bolaris,visited Skopje, where he will co-chair the second meeting of the Joint Interdisciplinary Committee of Experts of Greece – North Macedonia on historical, archaeological and educational issues. The Committee’s first meeting took place in Thessaloniki on November 2, 2018. The six-member Greek delegation at the Commission is comprised of academics and diplomats from the Foreign Ministry. During his stay in Skopje, the Deputy Foreign Minister will participate the reception organized by our country’s Liaison Office in the capital of the neighboring country for the national holiday of 25 March.